Portlethen and District Community Allotment got the ball rolling on their project as they received funding from Aberdeenshire Council this week. The project which looks to include 40 individual plots, a communal growing area and an orchard was awarded £4000 by Kincardine and Mearns Area Committee on Tuesday at Viewmount. Councillors from Kincardine and Deeside heard from Christine Lorimer from the group who was seeking initial start up funding. It was also noted at the meeting that an allotment project for Portlethen had been mooted back in the 1990’s. Councillors were full of praise for the alloments group, who were formed back in April and constituted in July this year. 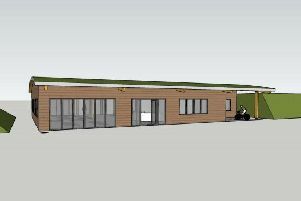 In a report to councillors it stated: “Funding is required to pay for services in order to submit a planning application for the allotment site. Costs include; insurance; legal fees; appointment of a quantity surveyor; and payment of the first year’s rent bringing the total to £4,300. It is planned that the alloments will be for everyone regardless of age or ability. The site being used is private land which will be leased to the group with an option to buy in future.